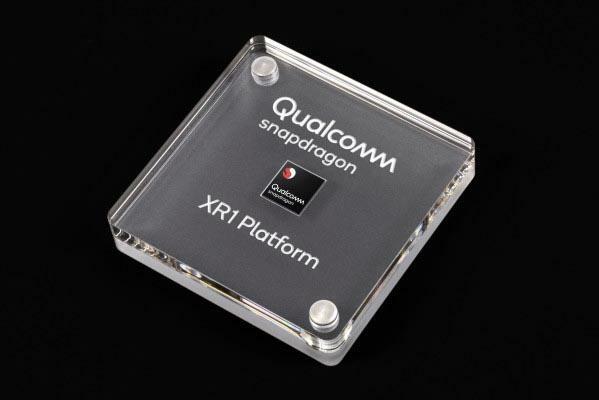 Qualcomm introduces the Snapdragon XR1 platform as the world’s first dedicated Extended Reality (XR) platform, presented on a launch event at the Augmented World Expo. The Snapdragon XR1 is the next-generation platform that offers high-quality XR experiences to mainstream users. The XR1 platform promotes that development of mainstream devices and it also has specialization for Augmented Reality experiences with Artificial Intelligence capabilities. Qualcomm proudly presented its partner manufacturers that are developing the first dedicated XR1 platform which includes VIVE, Meta, Picoare, and Vuzix. The Snapdragon XR1 integrates Qualcomm Technologies’ heterogeneous compute architecture, including the ARM-based multicore CPU, vector processor, GPU and Qualcomm AI Engine. Other key features include an advanced XR software service layer, machine learning, the Snapdragon XR Software Development Kit (SDK) and Qualcomm Technologies connectivity and security technologies. UltraHD – The Snapdragon XR1 delivers immersive visuals supporting UltraHD 4K video resolution at 30 FPS. Qualcomm Spectra ISP – Qualcomm’s new dedicated hardware and software algorithms that can eliminate unwanted noise. Integrated display processor - Snapdragon XR1 Platform supports a range of display options with hardware accelerated composition, 3D overlays, and support for leading graphics APIs including OpenGL, OpenCL, and Vulkan—allowing users to experience breath-taking and beautiful immersion. Advanced vision processing – The XR1 packs advanced vision processing capabilities such as Visual Inertial Odometry for AR experiences. Suite of Audio Techonologies – The XR1 features a suite of technologies including Qualcomm’s Qualcomm Aqstic Audio Technologies, 3D Audio Suite and Qualcomm aptX Audio. Interaction - Snapdragon XR1 Platform gives users a greater level of freedom to move around, interact, and play within their virtual and augmented world. Sensor – The Snapdragon XR1 Platform comes with three- and six-degrees of freedom (3DoF, 6DoF) head tracking and controller capabilities.